Last year I participated in the merger arbitrage between Primo Water and Glacier Water, calling it the merger arb of the year. Because of the unusual deal structure it will take a long time to know exactly what the result will be, but today the last Primo Water shares were released from escrow which clarifies at least one piece of the puzzle. I expected that all the escrow shares would be delivered to former Glacier Water shareholders, and that proved to be the case. Of course, just the fact that we did get all the shares doesn’t mean that it was a sure thing. Risks that didn’t materialize are unobservable, and are the main reason why making sense of investment results is so hard. But at least it’s a clue that perhaps I had the right idea. As you can see, the result so far isn’t exactly a home run, but part of the reason is that the share price of Primo Water dropped and I realized an weighted price of $12.57 which is 9.0% lower than the $13.81 the stock was trading at when the position was initiated. In theory I could have hedged my Primo Water exposure, but in practice this isn’t easy nor is it free. So this is just variance I will have to accept. Sometimes it will hurt results, sometimes it will boost them. But more importantly, this isn’t the whole merger consideration yet. The warrants, another part of the deal, still have 4 year left till expiry, have a strike of $11.88 and are worth $3.87 at the moment (assuming 30% volatility). Since we got 0.54 warrant per GWSV share that means that even with a slightly lower Primo Water price the expected payoff is still looking pretty good. What will happen next will mostly be noise from an investment process perspective, but nevertheless, if this blog is still alive in four years time I will let you know how this ended :). This entry was posted in Portfolio and tagged GWSV, PRMW on December 20, 2017 by Alpha Vulture. Can we buy warrants in the open market? Is your working assumption to wait 4 years and then optionally exercise? Or do you also have a value approach related to how the business is performing which determines a price level at which you will sell? Personally, I see little relationship between the (relatively high) model value and the (relatively poor) business. I cannot sell the warrants, only exercise them early which destroys all the extrinsic value they have. So at this moment thinking about what to do is sort of pointless. They really have to be very very deep in the money before I would consider an early exercise. So yes, my assumption is that I will probably hold them for 4 years and then exercise (or not) based on the current share price. That also used to be my thinking with my first warrants.. however, after having held multiple stashes of warrants over the years I find it’s definitely better to have a target on the underlying and at least exercise + sell half or so when it moves there (or all).. yes, that does imply some work on the fundamentals, but is very worth it in my experience. The underlying very rarely trades at the high on the final day, just think about all the other people wanting to exercise then. Remember: you will never be able to cash on time value when the warrants aren’t listed. So you need to think carefully when (price) to exercise, and forget about the time value. I sort of understand where you are coming from, but I think with options time value is just too important to ignore or throw away. My price target for, lets say bitcoin, might be $0, but at the same time I would be extremely happy buying options with a $20,000 strike if someone sells them with a 20% volatility. If you want to realize some of the time value you could sell calls against your warrants. Thanks for posting this idea in the first place. That has the same problem as just hedging with common stock; can potentially cost you a ton of margin for a very long period of time. How did IB account for tax purposes? I looked it up for you. Looks like it recognized a LT capital gain for the whole amount of the shares released from escrow. So presumably the year before when the merger closed they recognized a sizable ST capital loss as well. Thanks. So the reporting is all good? PRMW trades now at 17.25. Nice, nice, nice as the strike price is 11.88. For me this means a few k€ as I took your advice earlier and this is a significant windfall. I am willing to hold these warrants for years, but might as well capitalise now. I will probably just hold them till maturity. The option value of the warrants is still significant, and wouldn’t want to waste that by exercising early. Business: provides multigallon purified bottled water, self-service refill water, and water dispensers. What’s Happening: Legion Partners has acquired a 5.2% position for investment purposes. Behind the Scenes: Legion Partners is an activist investor that prefers to work in the background. 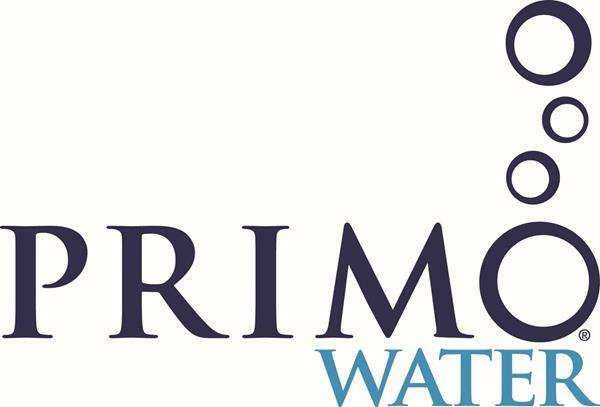 Primo Water sells its products in the U.S. and Canada at more than 46,000 locations, including stores run by Walmart, Kroger, Walgreens, and CVS. The company has a “razor-razorblade” strategy, as its dispensers need to be refilled. In 2016, Primo acquired Glacier Water Services. Primo is currently raising prices on its refill machines, implementing cashless payment options for them, and cross-selling legacy Primo retailers with refill services and legacy Glacier retailers with exchange services. Legion likes this business and believes that Ebitda margins will expand significantly over the next several years, as management executes its plan. Legion has a history of getting board seats, usually through settling with companies, and is probably talking with the company regarding corporate governance and compensation. Moreover, there were signs of shareholder discontent at Primo’s last annual meeting. Accordingly, if Legion wants board representation, it should have no problem obtaining it. 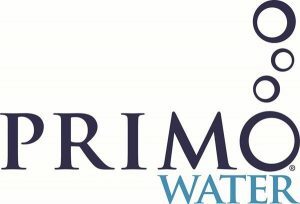 Primo water is up nicely and the warrants are worth a lot more. Do you know how to go about exercising them? You would probably have to ask your broker to do that. I asked IB to exercise 400 warrants. Costs are 200 USD. It has now taken a month during and it is not done yet. PRMW has dropped during this time 20%. Exercising warrants seems to take enormously long time.